There's a brand new attraction here in town, but it's not a roller-coaster or theme park ride. No, the latest attention-grabber to pop up is Trader Joe's- the wildly popular and quirky grocery chain that has a cult-like following among it's many fans. Though I have yet to brave the crowds to visit Winter Park's newest resident, I was able to hit their Towson store while I was in Maryland a couple weeks ago and in doing so picked up some items that I haven't seen before and was eager to try them out. Requiring an extra carry-on, all my purchases made it back to the sunshine state safe and sound and were ready for review. For those who are curious, I found both breads in the bread aisle (unrefridgerated/non-frozen). Also to note, these may be a regional item (I'll update upon scouting out our local Trader Joe's). I don't know about you, but I love Costco. Back in my pre-gluten free days, Costco was a magical place where we could get free cookie samples, amazing birthday cakes, pizza, bagels, and other wonderfully glutenous items. Now living with gluten and dairy intolerances, Costco has surprisingly become one of my go-to stores for gluten free products. The trick is to know what to look for. In the spirit of sharing my favorite gluten and dairy free products from this warehouse store, I've created this new summer series called Found @ Costco. I hope to post weekly on my findings and eventually include recipes using exclusively Costco products. In doing some preliminary research for this post, I've already discovered new items that I have previously overlooked to show and share. One thing to note is that many Costco products are regional, so they may not be available at all warehouse locations. For my research, I frequent the Altamonte Springs located north of Orlando. With that being said, here's the first ten items I'm showing off. When it comes to fine, exotic, or out-of-the-norm dining options, Winter Park definitely covers a lot of ground as the city is home to many restaurants with varying cuisines and styles. 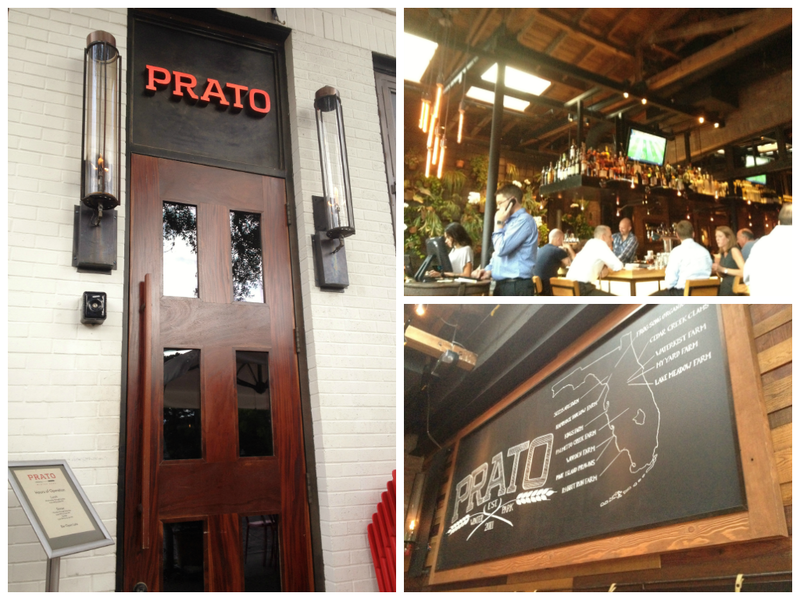 Prato, located on scenic Park Avenue definitely has carved out it's niche in the city and has earned top marks for their modern take on Italian cooking. Recently, they were commended by Orlando Magazine as the best Italian restaurant in the city after a readers' survey and have been noted in other local and statewide publications. Wanting to go out for a celebratory dinner with a friend, I suggest Prato after learning of their gluten-free friendliness and seasonally inspired ingredients. We set the date on an off Monday evening wanting to avoid a crowd and arrived as they opened for the evening (5:30 pm). Francesco's Ristorante and Pizzeria in Maitland has been on my gluten-free restaurant wish list for a while now. Located in Maitland, I've passed by it many times always vowing to return to try out their offerings, but never actually making a stop. However, when dinner plans with friends hit a snag at a different restaurant, I jumped at the opportunity to finally try them and suggested it as our new venue. Because the friends we were meeting also were interested in gluten-free dining, they were as excited as I was to get authentic Italian dishes that were both delicious and safe. Though you wouldn't know it from it's street-facing side, Francesco's has a wonderful patio and dining area hidden from view. The effect is really nice because it's easy to forget the hustle and bustle of Orlando Avenue and creates a laid back atmosphere. Upon being seated and informing the waiter of my dual sensitivities, he assured me that I would be taken care of which immediately put me at ease and gave me confidence in the restaurant's gluten-free knowledge and awareness. Every good college town needs it's restaurant staples and Towson/Baltimore is no different. From past experiences and doing some driving around, I already knew they had gluten-free friendly grocery stores (Whole Foods, Fresh Market, etc. ), chain restaurants (Red Robin, Chipotle, Qdoba, etc. ), and even a local pizza place that would deliver a gluten free pizza. One staple cuisine I was missing after a couple visits worth of exploring was a good Asian and/or Thai restaurant. After doing some pre-travel research specifically looking for Asian cuisine, I decided upon Spice and Dice Thai, a local Thai restaurant to try out because they serve up an impressive offering of gluten-free dishes that could easily be dairy-free and vegan depending on one's dietary needs. After a hot and exhausting day meeting with different departments on campus to get a better picture of what my college experience will be come this fall, my mom and I were exhausted and not feeling up to a grandiose dinner outing. Though I had planned to eat at a Thai restaurant that evening, I postponed our plans there and opted for a nearby Red Robin wanting a more familiar and stomach friendly fare (for the record, I love Thai food, but have to be in the right frame of mind to eat it). I have heard great things about Red Robin's gluten-free offerings from fellow bloggers and had been wanting to check them out for a while now so I seized this opportunity to pay them a visit. Like TCBY, which I also reviewed during my trip, Red Robin is a national chain and has two locations in Central Florida- Winter Garden and Sanford- with a third on it's way (International Drive). I found it quite ironic that I'm getting an opportunity to try restaurants I've been meaning to get to back home but the great thing about it is that their service and options should be pretty consistent at each locations. When it comes to travelling, I love stumbling upon places that are less touristy and more geared towards locals. While doing my research about the food scene in North Baltimore/Towson, I repeatedly saw references to Towson Hot Bagels as a not-to-be-missed breakfast, brunch, and lunchtime option. While bagel places usually set off a red alert due to the emphasis on gluten-filled bagels and cross contamination, Towson Hot Bagels, or THB as I was corrected by locals, stood apart for their emphasis on providing a gluten-free options for those of us who need it. Now that I've been bitten by the breakfast bug thanks to Kouzzina and The Old Spanish Sugar Mill, I knew that I wanted to have breakfast out to break my travel breakfast routine of mini banana oat muffins that I brought from home that were good, but repetitive to eat each and every morning. After a rare break from the Florida heat while visiting Towson, my rare break from furnace-like conditions was short-lived as the digits on the thermometer inched closer and closer to the 100 degrees mark after the first night. After a jam-packed Monday morning and early afternoon, my mom and I were overheated and mentally fried and in desperate need for a cold treat. While smoothies are our typical snack time splurge, I did not know where the closest smoothie place was. However from a previous visit I knew where a TCBY was so we decided to try our luck to see if their new Silk almondmilk flavors were in stock. In case you're wondering, the Silk is the same Silk as the company that produces soy, almond, and coconut milks seen on store shelves. With our hopes high and the sun beating down, we stopped by their Belvedere Square shop located a few minutes away. Update 9/4/14: Havana Road will be closing on September 21, 2014. They will continue their production of prepared foods which can be found at Whole Foods Markets in the Mid-Atlantic Region. Summer is naturally the summer side trip season as time off from school allows for intermittent getaways near and far that allow for a change in scenery and opportunity to try new things. This particular side trip up to Maryland was less for leisure than business because it signaled my official transition from high school student to undergrad. As I spent a few jam-packed days meeting with different departments at my future school in order to iron out some loose ends, I was able to sneak in some gluten-free foodie finds worth sharing. As I will be living up here next fall, the area will become my second home after Central Florida and I cannot wait to explore it further. Since I covered a lot of ground over the course of the trip, my reports will come out over the next week as I regroup and rejuvenate from the hurried pace of travelling. First up on the roster of gluten-free friendly finds from Maryland is Havana Road Cuban Cafe located in Towson, a suburb north of Baltimore. With all the new attractions and buildings going up in and around Central Florida, it's quite easy to forget that our state has a history that goes back 500 years and beyond. Before we became "the happiest place on Earth" our state had its rustic roots in the cattle and citrus industries. Visiting the Old Spanish Sugar Mill locating within De Leon State Park is a unique way to step back into Florida's past to experience the wonder of the natural world and old Florida charm. Considered to be a "best kept secret" by locals and lucky tourists alike, the Old Spanish Sugar Mill is off the beaten trek but well worth the excursion if looking for a unforgettable breakfast. Growing up as a gluten and dairy lover, I was a big fan of Annie's Homegrown products- especially their delicious, cute cheddar bunnies and the ultimate comfort food- shells and white cheddar pasta. Now that I can no longer enjoy my childhood favorites from them, I never really investigated them to see if they made gluten free and dairy free products. However, in going through Super Target one day looking for new snack-type foods for road trips and summer travels, I was shocked to find that they now make gluten-free treats. In fact, they now produce forty-one different products that are now designated "made without gluten" or "gluten-free." The product that rekindled my love for Annie's was their new gluten-free chewy granola bars which come in two flavors: oatmeal cookie and double chocolate chip. After scanning the ingredients list to confirm they were free from dairy as well, I tossed on box each of both flavors for a trial run. Similar chewy granola bars were always one of my favorite snacks as a kid, so I relished the opportunity to try out these promising and portable treats. Update: Kouzzina is now officially closed. I must admit that I had some pretty high expectations when selecting Cat Cora's Kouzzina as the place to celebrate the completion of my high school career. Nestled into the quaint and picturesque Disney's BoardWalk area, I found about the restaurant from the rave reviews written by Alexis and Sarah from the blogs Gluten Free in Orlando and Gluten Free and Dairy Free in Walt Disney World respectively. The number one reason that had me sold on Kouzzina? Allergy free Mickey waffles. That's right- the iconic way to start the day in the most magical place on Earth is an experience that can be shared for those of us dealing with dietary limitations. With high hopes and in eager anticipation, I made my reservation after my last exam and anxiously awaited my breakfast of champions. 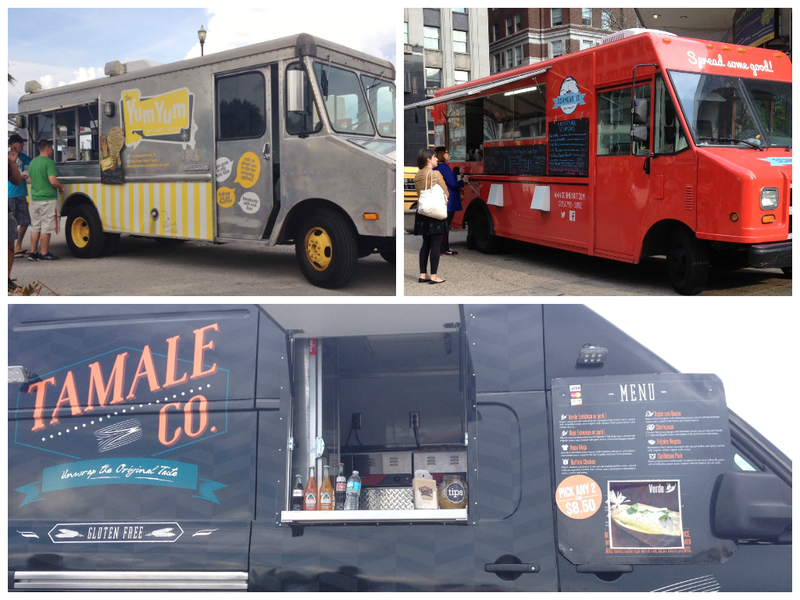 Summer seems to be made for food trucks. These portable cafes on wheels can set up shop seemingly anywhere have the unique ability to turn an ordinary block into a full-out party in the street. After discovering the magic of food trucks in Philly a couple months ago, I have been yearning to check out the Central Florida food truck scene which is quite varied and active. As it has happened, I never really sat down and did my research until I found out that my neighborhood would be hosting a food-truck "round up." While none of the trucks attending this event were gluten-free friendly (as far as I could tell), I did come across a couple trucks that were. This, coupled with a free Saturday I was looking to fill, sparked my foray into this wonderful world. This past month, I feel like I have been going a million different directions. 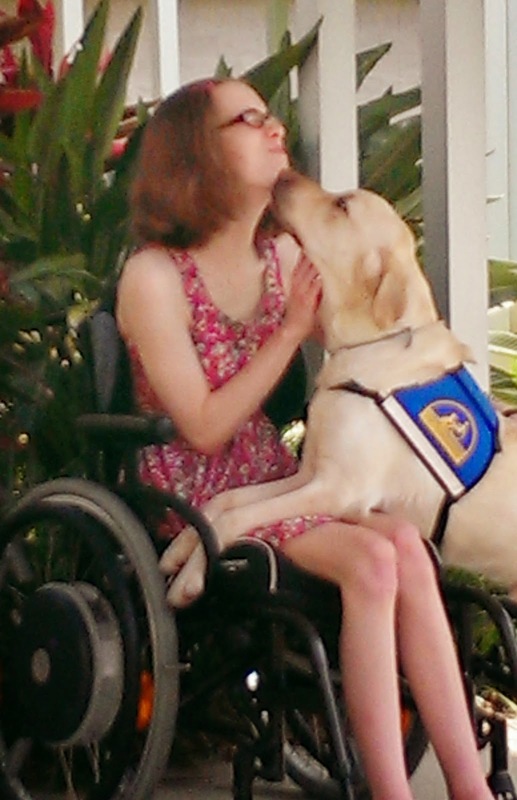 Service dog "boot camp," finalizing my high school career, organizing my summer plans and getting ready for college have all been vying for my attention alongside the constant flow of reviews and posts I have pending to publish. With today being the official end of my high school career, I finally feel a great weight lifted from my shoulders. Excited by my newly freed mind, I knew I was finally ready to write this post which I've been meaning to write for the over a week now. I was recently nominated by my fellow gluten-free blogger Allie, from Adventures of a Gluten Free Bennie, to join in on the Blog Your Heart Out chain letter that lets bloggers introduce themselves beyond the boundaries of their blog subject. Side note- thanks Allie! In this post, I'll give a glimpse at the "girl behind the blog" and introduce myself beyond simply gluten and dairy intolerant. I fell in love with this idea after reading other's entries and thank Allie for tagging me into this internet version of "telephone." As a food blogger, I keep a list of restaurants I want to visit in the future from friend's recommendations and discovering new finds through databases and review sites such as Find Me Gluten Free. Though this has helped me break out of my mold and discover new restaurants, I've quickly realized that Central Florida has way more gluten-free friendly places than I first thought which has made my list seemingly endless and quite overwhelming. While this is a great problem to have because it means our gluten-free community is strong and growing, it's a slow process to work my way through the list which can be frustrating when I want to try everything right then and there. Orchid Thai in Winter Park is one such place that has been on my list for a while. Wanting to go out to lunch with a friend this week, I knew exactly where to suggest when we agreed to meet on Park Avenue. A favorite of another local blogger, I couldn't wait to try my first exclusively Thai restaurant with gluten and dairy free considerations. Promising to be a place "where old world taste and good friends meet," Chianti's Pizza and Pasta in Sanford enticed me in with their gluten-free offerings including pizza and pasta. Finding myself in their neck of the woods last, week, I decided to stop by to check out their offerings in person and to pick up dinner to-go. Once stepping inside, I was blown away by the transformation from a strip-situated restaurant to a homey and intimate dining area overlooked by a busy open kitchen. I didn't know what my expectations were, but the comfortable dining area immediately made me feel at home as if it was a small Italian eatery.